It’s the summer holidays, and I have the month off work, so time to go out of my usual route, and check out some of the cafes around Seattle. 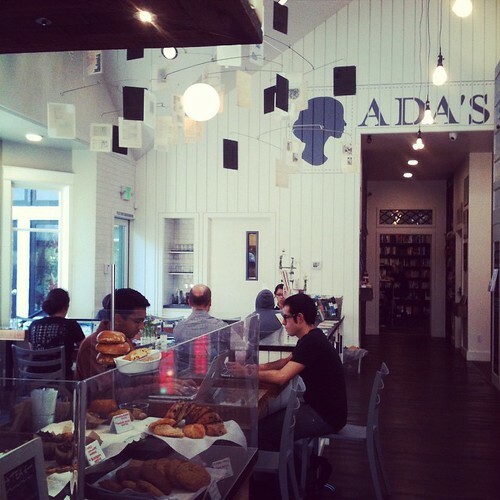 Ada’s Technical Books and Cafe is in the Capitol Hill neighborhood, and sandwiched between Cafe Ladro and Victrola on 15th. 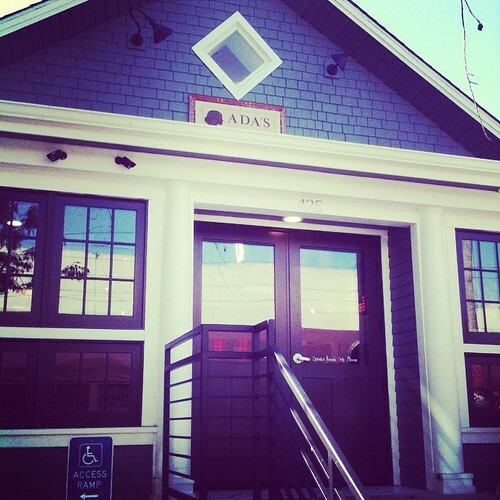 It’s slightly pricey if you’re just there for coffee, but it’s a really cool space to work at, and it’s a treat for the bibliophile (particularly those with a penchant for technical books). 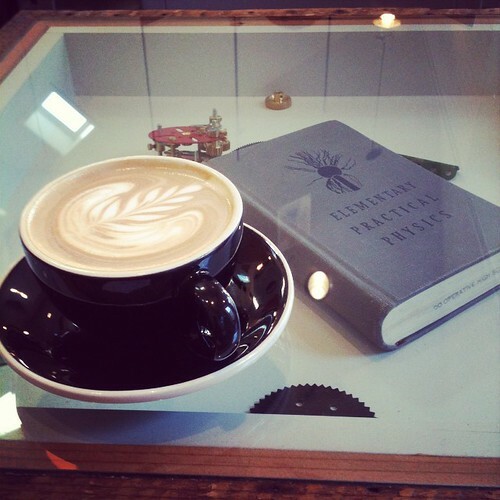 Things I Love: The cafe space (which is set in a book store) can host about 20 – 25 patrons. Every table is unique, and is a mini diorama of various topics, for instance, compasses, or how to pick locks. Sitting at a different table each visit can be a fun activity. They also have interesting events, for instance, book clubs, and talks on a variety of academic topics. Despite the relatively tight space, I have never had any issues with finding a spot. They are a full-service establishment, so in addition to caffeine, they also serve wines and beers. Their food menu is fairly extensive. The friendly baristas serve Kuma coffee. My only complaint is that it’s slightly pricier than your regular latte (12 oz goes for ~$3.75).